Information technology company Hewlett Packard Enterprise (HPE) is set to report its earnings results for the third quarter ending July 31, 2018, on Tuesday after the bell. Analysts expect the bottom line to exceed analysts’ views despite revenue likely to miss consensus. Investors would be looking for strong growth across the company’s business segments. Analysts, on average, predict the company to earn of $0.37 per share for the third quarter compared to a profit of $0.30 per share in the prior-year quarter. However, revenue is projected to fall by 6.40% to $7.68 billion. Most of the analysts are recommending a “hold” rating with an average price target of $19.47. 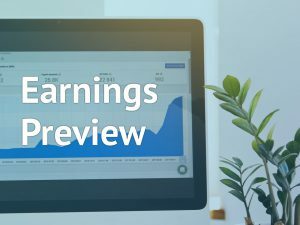 Investors are looking forward to an earnings surprise for the fifth consecutive quarter with analysts expecting a 23.30% year-over-year growth. However, growth estimates are likely to fall by 7.77% per annum in the next five years. This could make traders take a cautious stance on Monday and Tuesday ahead of the results. During the recently completed second-quarter, strong performance across its business segments helped the company swung its results from a loss last year to a profit. The top line growth was driven by an increase in Hybrid IT revenues, improved performance from Financial Services, and double-digit growth in Intelligent Edge division revenues. For full-year 2018, the company had predicted earnings in the range of $1.70 to $1.80 per share and adjusted earnings of $1.40 to $1.50 per share. Investors expect Intelligent Edge, Storage, Hyper-Converged, High-Performance Compute, and Composable Infrastructure to contribute positively to the company’s results for the third quarter. Zacks Equity Research remained slightly cautious about the company’s near-term prospects due to elevated commodities pricing, fierce competitive pricing pressure, and certain near-term execution issues. Shares of Hewlett Packard Enterprise ended Friday’s regular session up 0.62% at $16.20 on the NYSE. The stock had risen more than 15% for the past year and more than 12% for the year-to-date.